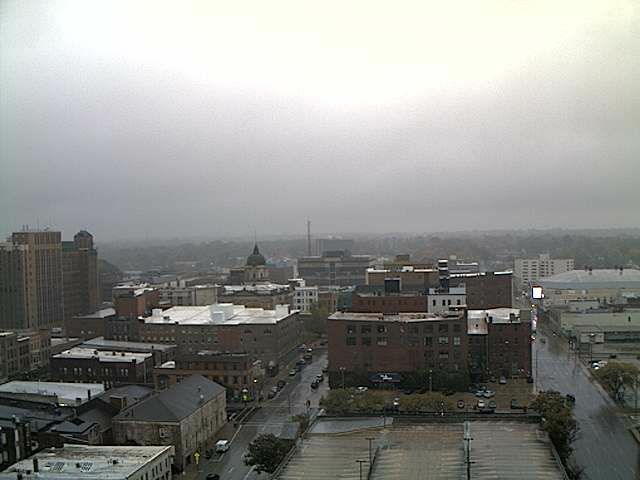 This Skywatch Camera is located atop the 420 foot TeleCourier Communications tower in downtown Bloomington, IL. The camera faces southeast. The time lapse covers 90 minutes. This camera is sponsored by Dr. Lawrence Li and the Orthpedic & Shoulder Center. Orthopedic & Shoulder Center, headed by Orthopedic Surgeon Lawrence Li, MD, is a comprehensive provider of orthopedic care for Bloomington-Normal and all of Central Illinois. We provide physician services, physical therapy, occupational therapy, X-Ray, MSK Ultrasound, and MRI all under one roof for the convenience of our patients. Our practice has served the residents of McLean County and surrounding areas since 1996. We make it easy for all patients to access our services because referrals are not necessary. We offer same day appointments for patients who need to be seen urgently. So if you have an orthopedic problem, don’t go to your general doctor, convenient care or the emergency room. I'm a May graduate from Eastern Illinois University and I joined WEEK just a few weeks later!